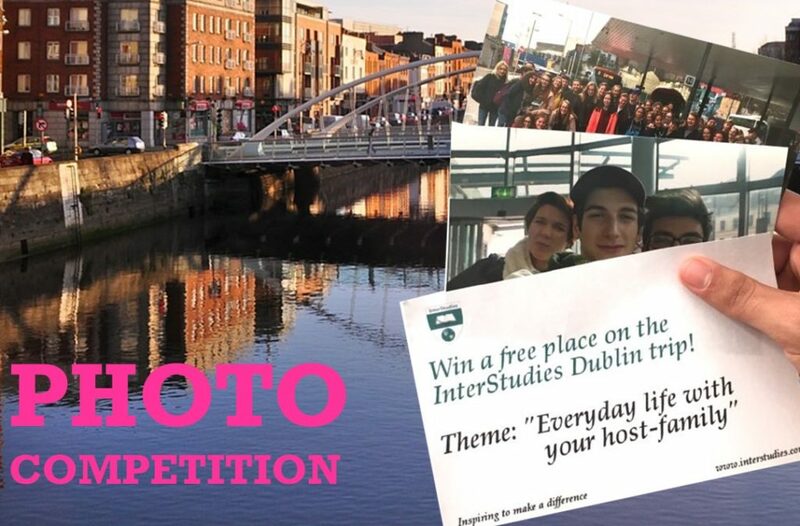 InterStudies Ireland held a photo comp for all our students staying in Ireland. The prize: A free place on our popular Dublin trip! The theme for the competition was everyday life with your host family. We received some great entries. Scroll down to see a few of our favourites and the winner! Annika from Germany sent us this shot of herself in her school uniform. School Uniform is a big part of life as an exchange students for many of our students, most of whom come from countries where school uniforms are not common. While it can feel a bit strange the first couple of times students wear their uniform, most students soon appreciate not having to think about what to wear in the morning, and your school uniform makes a great souvenir from your exchange year! Elena from Switzerland sent us a photo of her enjoying the snow with her friends. Great snowman! Polina from Germany was lucky enough to meet Olaf! We were really pleased with all the entries we received to our photo competition, but there could only be one winner! And the winner was Elianne from the Netherlands, who sent us this picture of her sharing a Dutch speciality “hagelslag” with her host sister. Exchange programmes are all about sharing cultures and experiences, and it’s great to see our students sharing their traditions – and their treats from home – with their host family. Well done Elianne, and congratulations on winning our photo competition! We look forward to seeing you on our trip to Dublin in February!